The EU Falsified Medicines Directive – improving patient safety and fighting #fakemeds in Europe! 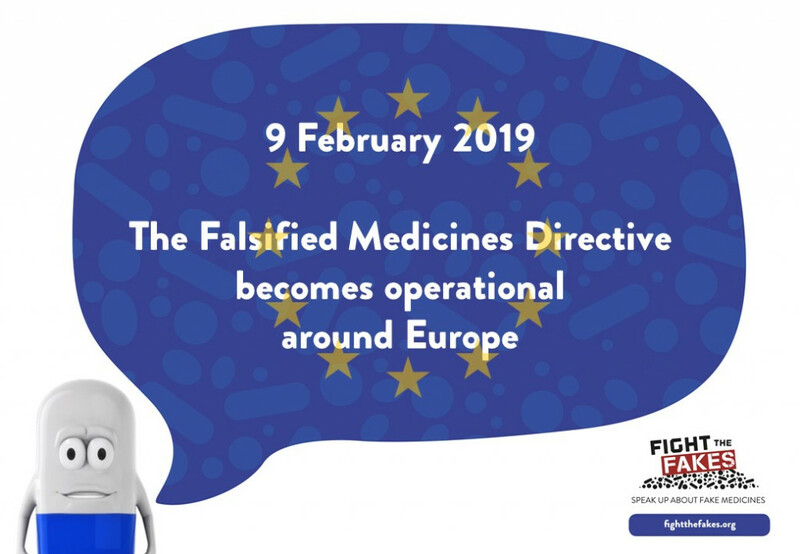 On 9th February the EU Falsified Medicines Directive (FMD) (Directive 2011/62/EU) will have finally entered its concluding phase for making the medicines supply chain safer from falsified medicines based on legal measures and through the European Medicines Verification System. According to the regulation all the prescription medicinal products need to carry the following safety features on their external packaging. A 2D matrix code that contains a unique serial number. It looks something like this Fight the Fakes QR code leading to the website. A anti-tampering device or in other words a seal, that will guarantee that the packaging hasn’t been opened. To help with the implementation of the new system, Fight the Fakes partner the European Medicines Verification Organisation (EMVO) was established in back 2015. EMVO is a joint initiative of EU stakeholders, representing manufacturers: Medicines for Europe, a Fight the Fakes partner, EFPIA, EAEPC, wholesalers: GIRP, also partner in the campaign, community pharmacists (PGEU) and hospitals (EAHP, HOPE) that came together to advance the formation of the European Medicines Verification System (EMVS). The EMVS is a new European-wide system designed to improve patient safety across Europe. It was first outlined in the FMD legislation from 2011, in order to improve the protection of public health within the European Union. The key purpose of the EMVS is to increase the security of the manufacturing and delivery of medicines across Europe and protect patients, and ultimately prevent falsified medicines from entering the medical supply chain. This means a great deal for combating fake medicines! Fight the Fakes expects that the new measures will significantly improve the security of supply chains and ensure patient safety against falsified medicines in Europe but also beyond by showcasing successful targeted and efficient measures. Keep your eyes open for the Press Release from Fight the Fakes partner EMVO and stay tuned for more updates and developments by following Fight the Fakes on Twitter and Facebook.